SA and Australia are both heavily underrepresented on WL. Please make this happen, guys. @Rikku Ninjanic received only 1. Nothing more. The map creator who has currently won the most map of the week contests is zxctycxz with 7. Surprisingly this mapmaker isn't rewarded with a gold trophy or something. Come on lads and lassies, let's make this happen! Week 100 already? This is crazy! Almost as bad as the Duel-Motw. Go piggy!! 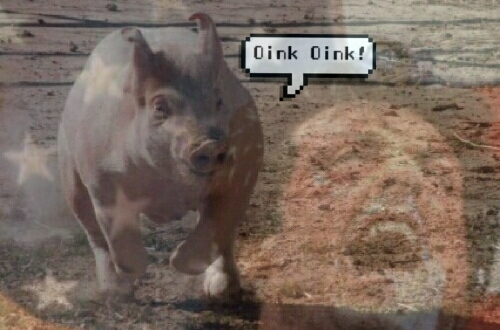 Oink for life! May the 100th Week be represented by a PiG! And as you can imagine it truly deserves a rating of 5 for its magnificence. I am NOT on the meme team, I am NOT voting for the Pig map.